The Plantronics has diversified their range of headset / headphone from music lover to specialized user such as aviation, call center, Information technology and for security forces. The Plantronics Aviation Headsets is made for aviation with high quality specification to deal with sensitive message and sounds. The plantronics formed a specialized superior quality headset for aviation. We build the trust through our name and quality in aerospace industry, including the FAA and NASA; our lightweight, reliable headsets are the natural choice for thousands of commercial pilots. Pilot’s job is quite sensitive and needs to be error-free, so they have to be loaded with latest and highly trusted accessories; and headset is one of them. The pilot needs that headset on which he can rely to provide the optimum outcome in each and every situation. The Plantronics headset set a high standard in the market of headset and become the first choice of every airline pilots. 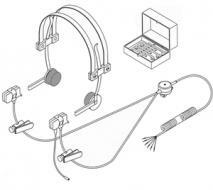 The Plantronics spent decades in the research of making this specific type of headset for aviation and for which they hired a professional team belongs to different airline and aerospace industry. The best aviation headset provided to NASA for the Apollo moon landings. 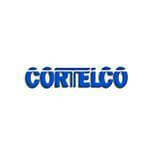 Telegiants is distributor of Plantronics item and related products since 1964. We deals in trust for which always offer brand new and unopened items at your doorstep. You should make purchases through our online store Telegiants.com and get massive discounts along with lifetime support for your product. We help to change your decision or making new purchase by charging not a single penny, for that we offer 30 Days Money Back Guarantee option. Plantronics MX500i Headset is a unique under-the-ear design headset which makes it fantastic cellular headset that provides a comfortable and secure fit. 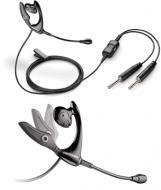 Plantronics MX500i Headphone specially designed for the work-at-home professional who is on always love to on the go. This headset allows you make calls in three different ways, you can make Skype calls and other Internet calls through your laptop or computer’s USB connection, and you can also connect it to your cordless phone or use it with your cell phone. 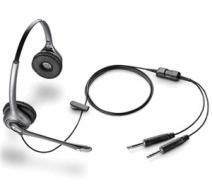 Plantronics MS200 Commercial Aviation Corded Headset is counted as one of the best headsets all over the world. It is an ultimate in comfort and reliability, offering superior sound quality with a unique lightweight. You can wear Plantronics MS200 Commercial Aviation Headset all they day long because of its unique design under-the-ear that gives you secure and comfortable fit. Plantronics MS200 Aviation Corded Headset comes with a noise-canceling microphone which enables you to avoid unwanted sound you don’t want to hear around. Plantronics MS250 Commercial Aviation Corded Headset is specially designed to set a new standard in comfort and reliability for pilots. This headset is pretty much reliable and gives fantastic sound quality with comfortable styles if you want to hear it all the day long. 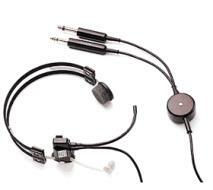 Plantronics MS250 Commercial Aviation Headset comes in 5-foot cord with one each PJ055 and PJ068 plug. Moreover, Plantronics MS250 Aviation Corded Headset also comes with a noise-canceling microphone which helps you stay away from the sound you don’t want to hear around. 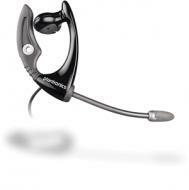 The Plantronics MS260 Commercial Aviation Corded Headset sets a new standard in comfort and reliability for pilots. 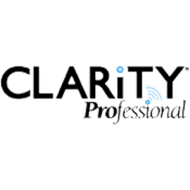 It has background distractions and noise removing microphones that make the sound more clear and natural, There is no distraction in communication between air and ground control. There is hassle free communication at both ends with high definition sound quality specially designed for pilots. The Plantronics MS50/T30-1 Commercial Aviation Corded Headset is very lightweight and also known as a commercial aviation headset. It has been the product of preference for pilots since last four decades. 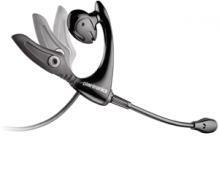 The Plantronics MS50/T30-1 Commercial Aviation Headset proposes a selection of headband or eyeglasses clip. Its reliability and safety are exceptional as it advances to serve the requirements of current and future ages of pilots. 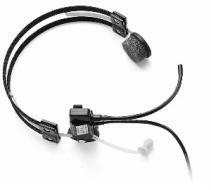 The Plantronics MS50/T30-1 Aviation Corded Headset is also very helpful for other technical staff based at airports or other communication base industries. The Plantronics MS50/T30-2 Commercial Aviation Corded Headset is a commercial aviation headset that has been the product of preference for pilots for over 40 years. 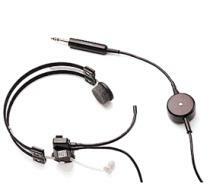 The Plantronics MS50/T30-2 Commercial Aviation Headset offers an array of headband or eyeglasses clip. Its authenticity, safety, and reliability are unparalleled as it recapitulates to serve the obligations of current and future generations of pilots, aviator, airmen, navigators, aerialists, aeronauts, helmsmen, coxswains, wheelmen, and steersmen. These headsets are the most innovative products with so many unique features to make them the first choice product. The FAA-approved Plantronics headsets come in a variety of wearing styles and incorporates the latest technology and lightweight comfort.